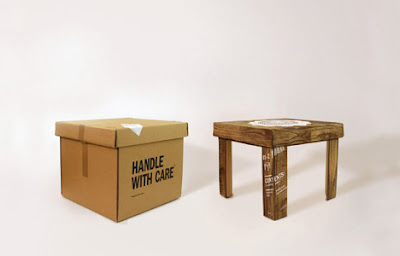 Here is a collection ‘Creative Cardboard Furniture Designs’ from around the world. 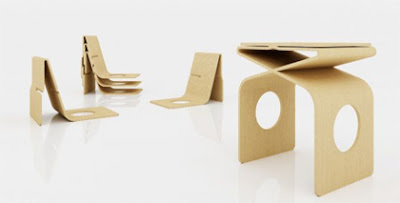 This lightweight, portable cardboard table designed by Liborius Reykjavik offers an ergonomic plane to work on. 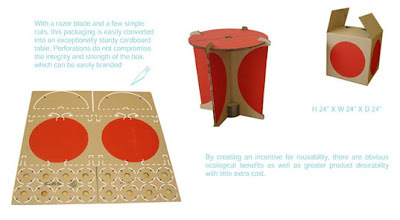 "Each Idea* product is a cardboard construction which opens and constructs into itself, creating the shelf or chair or whatever it says it is on the box. 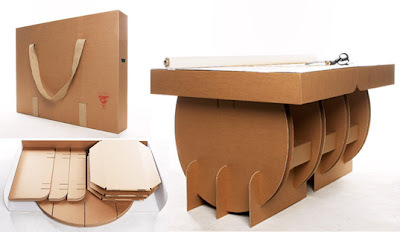 The box is what it is!" 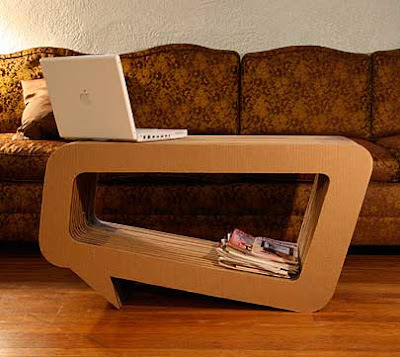 Speech Bubble cardboard coffee table by Leo Kempf. 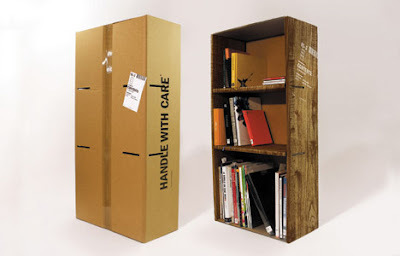 This one is really a good one! 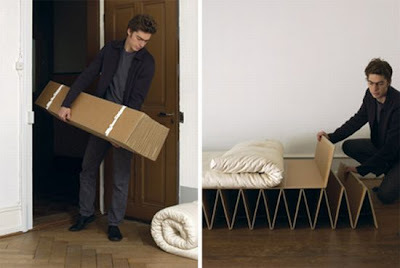 Designed by the Swiss studio Design it, the itbed is only a bed when you want it; its a multi-faceted piece of furniture that one can sleep on and can be rolled up for the want of space. 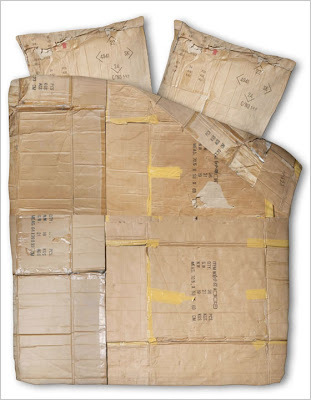 This cotton bedding set that's made to look like a folded cardboard box. 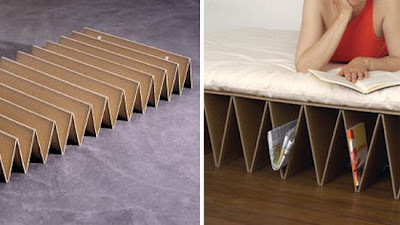 Available here - link. 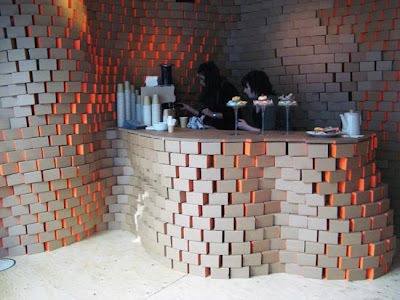 B3 Designers constructed a one off the cardboard cafe, during the London design festival. 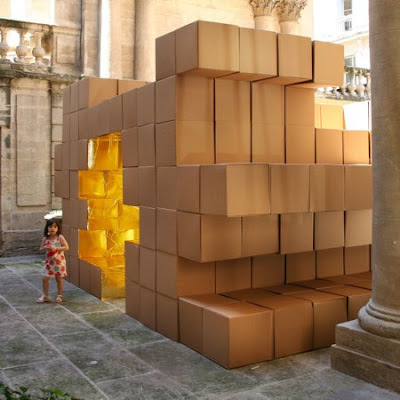 French architects O-S created this temporary installation made of cardboard boxes in Montpellier, as part of a Festival. 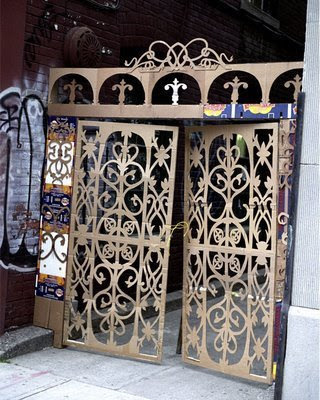 The interior of the store is composed almost entirely of cardboard. 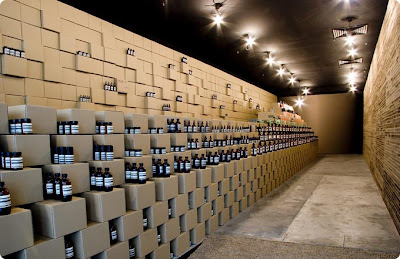 "Located in one of Melbourne's most interesting precincts, the Flinders Lane store interior is made entirely of industrial-grade cardboard; from the display shelving,.."